I think you may have been much happier with a 512-bit interface which would result in nearly 2.5x the bandwidth of the 4890, however it remains to be seen whether it'd be a waste or not. Having said that, it could mean for slower GDDR5 thus reducing costs, but wouldn't it be far more problematic to incorporate the wider bus anyway? I want to know how the pinout compares on the 5870 gpu to the 4870/90. Have they doubled the data pins, or is the data jamming in and jamming out, even at 4800mhz ? Maybe that's why 512bit would help. Perhaps faster data rate ram, needs also a wider data path, more pins, more paths in and out of the gpu. For all those people clamoring on about why ATI didn't go with a 512-bit memory controller I'm going to chime in here with some ATI 512-bit experience. If you're a sharp one reading this, you have already guessed that means I'm going to talk about the R600. Now you can hate the card all you want, but I quite enjoyed this card. First of all, in the R600 it was the last ring-bus. It was a true 512-bit, and large memory controller. I'm not certain on the amount, but I believe it owned about a quarter of the realstate on the die. That's a lot. It also was some of the cause for the chip running hot and why UVD was scrapped from that chip to save room. Now, to keep that 512-bit ring-bus fed, you needed to push large amounts of data to it. The more you increased system bandwidth, the faster the card would be in any task. I've run hundreds of benchmarks over the years and I'm pretty sure Jared and Anand can attest to this. Same goes for overclocking the card. Raising the core didn't do much, but cranking up the VRAM to feed that hungry ring-bus sure did. Prices anyone? I believe $450 and up depending on where you were located. It was on heck of a pricey chip for ATI to make. Enter the die shrunk 3000 series with the 256-bit memory controller and voila. A cheaper chip to make. It never came close to the theoretical performance of the 2900XT, but the 3870 was about 90% of the performance for a lot cheaper. Yeas I know the cores were tweaked and so on in the 3000 series, but they are very similar. If ATI ever went to a 512-bit bus, which means more PCB layers, higher cost in manufacturing and a larger die, I'd think they'd do it on something like Juniper or wait till 32nm. It's not feasible right now. They technically could go the MCM route with Juniper and get a mashed up version of a 512-bit bus, but I don't think the chips have been designed with that in mind. Anyways, most computers out there are starved to feed something like the 5870 and higher cards with a 512-bit bus. I just replaced my R600 with an RV740 (hah, went from 80nm to 40nm) and now I don't need to OC the heck out of my bus to keep the card fed. I'm running an old FX-60 setup due to a glowing review on here back in early 2006. Am I the norm? NO, I'm waiting to upgrade. Is the Core i7 9xx the norm? No. You have to build a card to a certain set of people. I'm building my pal a new computer and he's happy with the 5850. The 5870 is overkill for him. It's 80% of the 5870 but a hundred bucks cheaper. Now, I'm sure ATI looked at the 512-bit bus in much the same way. "Wow, that 512-bit bus sure flies, look at those numbers! Oh, it's going to cost us this much die space and more manufacturing costs.... Well, those 256-bit bus numbers are still pretty imperssive and within 80% of the gaming benchmark scores, so we'll go that way"
The GT200 is a 512 bit bus. All the whining and complaining about difficulty means NOTHING. ati goes the cheapskate sloppy lame route, cooks their cores, has 90C heat, few extra features, and a red raging fanbase filled with repeated tantric lies. I even posted their own forum here with their 4850 90C+ whines, after some rooster told me his worst fan in the world on his 4850 kept it in the cool 60's like the several Nvidia cards, of course. The 512bit HD2900 XTX was and is a great card, and even the 256 version still holds it's own. It was well over 500 bucks, was limited production, sold out quickly, and there was HD2900 512bit lesser version that could be flashed to full XTX with a bios upgrade, and it disappeared after it went well over $500. That HD2900XTX has 115GB bandwidth. It was REAL competition for the 8800GTX. Of course ati cheaped out on producing any decent quantity, has been losing money, overcharged for it (and got it - but apparently like RUIZ, the "leadership" qualifies for "MORONS!" BUT JUST THE OPPOSITE HAS BEEN GOING ON FOR SOME NUMBER OF YEARS IN A ROW. If ati is so pathetic it can't handle making 512bit and selling 512bit, well then , they're PATHETIC. And, yes, it seems they are PATHETIC. Someone ought to let ati know there's "competition" and the "competition" pumps out 512bit buses all the time. I guess when ati "finally catches up to the modern world" they can put out a 512bit again. In the mean time, they can stick with their cheap pcb with less layers, their cooking hot crammed full electromigration core, and have a bunch of looners that for the very first time in their lives, actually believe that the ghetto is better than Beverly Hills, because they goin fps shootin', man. Yes, it's evil for big green to make money, employ reps, toss millions into game channels, be extremely flexible and pump out 20 differing flavors of cards, so it's not so boring, work so games run well on their product - yes what evil , evil ****rds. Yeah, the last red card that really was worth something, the HD2900512XTX. That's the other thing that is so funny from these little broker economy whizzes. After they start yakkin about ati's dirt cheap product scheme, it really burns em up that the real cadillac of videocards commands a higher price. Well, there's a reason a better made, more expensive process, more featured, wider supported in games videocard, is higher priced. I like Nvidia cards too, but if I was a moderator here you'd be banned by now. Relax. Take a pill. No one takes you seriously any more. The core clock is not doubled, still 850. The memory data rate is not doubled 3600 to 4800. The bus width is not doubled still 256.
" So what’s Cypress in a nutshell? It’s a RV790 (Radeon HD 4890) with virtually everything doubled,.."
There's no need to double the bus... either double the RAM data rate or double the bus width and you accomplish the same thing. But in a nutshell, everything is doubled relative to HD 4890 except for bandwidth, which only improves by 23%. Similarly, everything is more than double the 4870X2, you don't even need to deal with CrossFire stuff, but the 4870X2 has 50% more total bandwidth. ATI almost certainly isn't completely bandwidth limited with 4890/4870X2, but I think 5870 might just be fast enough that it's running into bandwidth limitations. On the other hand, bandwidth limitations are largely dependent on the game and algorithm. For instance, the Quake/Quake World/Doom games have been extremely bandwidth intensive in the past, and some of the titles Anand tested fall into that category. However, I know of other games that appear to be far less dependent on bandwidth, and the more programmable stuff going on, the more important shader performance becomes. Note: Edited for ease of response. None of it runs at 7200 for videocards. 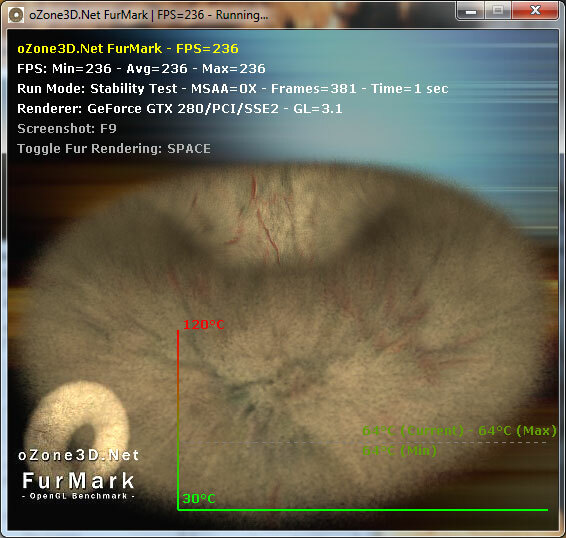 When the CORE is overclocked, we will see a framerate increase. It may handle double data or nearly internally, but that has to communicate with the ram- etc onboard. The meaning of cache on the gpu is so it doesnt need to read and write to dram memmory too often. 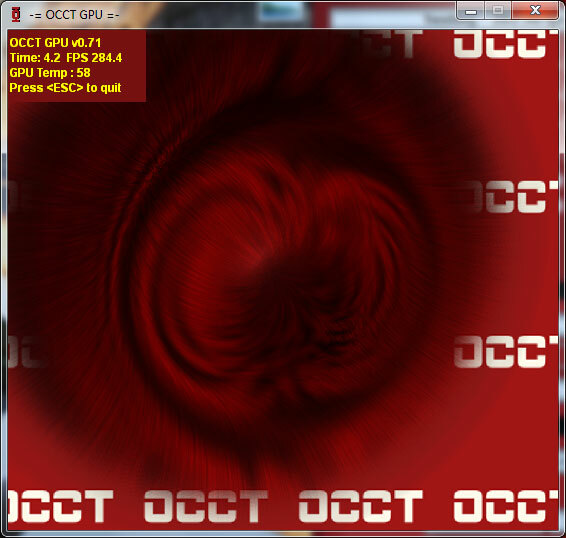 The speed of texture cache on 5870 is 1 TB/sec and its sram. And thats just the texture chache. It just shows how much speed is needed to utilize that raw comuting power on the chip. They surely tested the chip with higher speed memory and ended with this bandwith compromis. Also u cant compare the bare peak bandwith. The type of memmory controler and the speed of the GPU(and also cache) should change the real world bandwith like we see with wideferent CPU models and speeds.